Simon isn't quite ready for handwriting practice even though he is five-years-old. I try to be sensitive to my kids and what they CAN do versus what they aren't ready for, and a handwriting book would send this little guy over the edge. Right on over. Kerplunk. I don't want to send him over the edge, but I do want him to continue to prepare for handwriting practice. We are utilizing lots of Before Handwriting Ideas, and I also made these pre-writing pages for Simon. 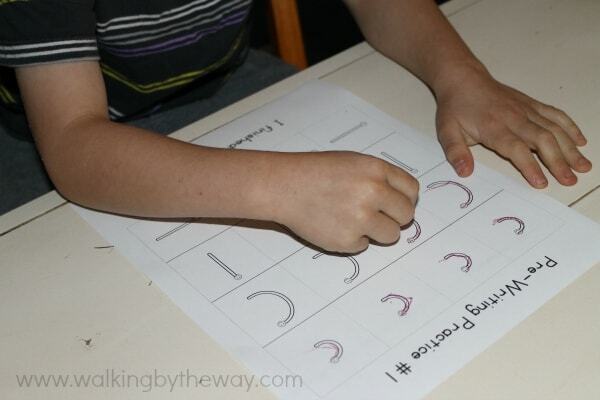 These pages will give him practice with the basic strokes and shapes he will need later to form letters. You can download the pages by clicking on the image below. 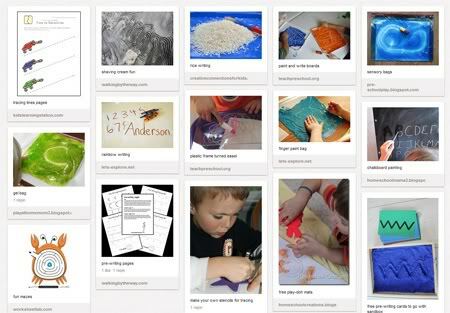 For even more before handwriting ideas, browse my Pinterest board. I love the idea of this link up. I’ll try to pop back over later and add in the ones I have from earlier times. 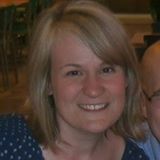 I have added your picture in your post to my blog and linked you to my site. I also will share a post and link back to you from my links blog noted below. This is a great Idea, will keep checking back with you. Thanks! I’m a teacher in Belgium and I love this! Genius! 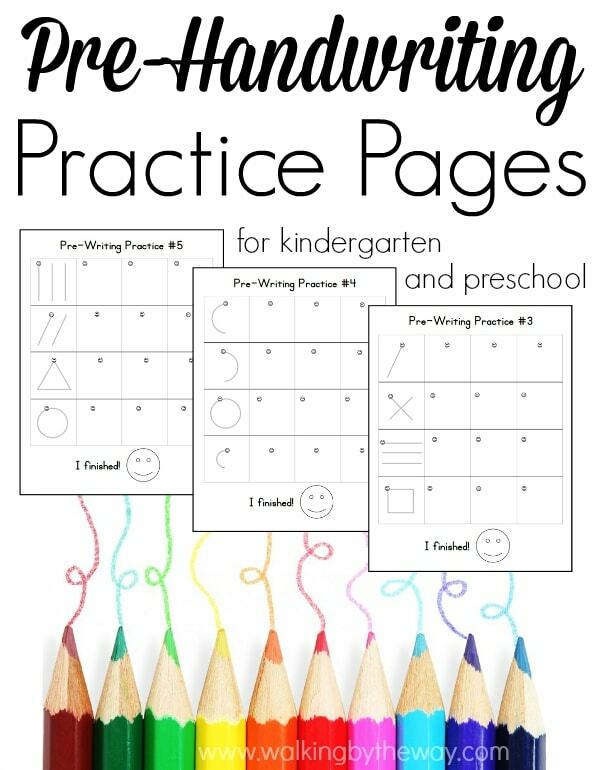 I'm wanting to print out these great worksheets (like you I have a daughter who is overwhelmed easy and I'm looking for non stressful ways to practice). When I click on the link to download, it just takes me back to the post saying "You searched for: prereadingfun.pdf" and underneath the title to the post. No worksheets. Wondering if a links is broken. Hello I am a Kindergarten teacher and would love to put this set in my writing center. However, I cannot get the pdf to download. It tells me it won't open. Any way you could email it to me instead? 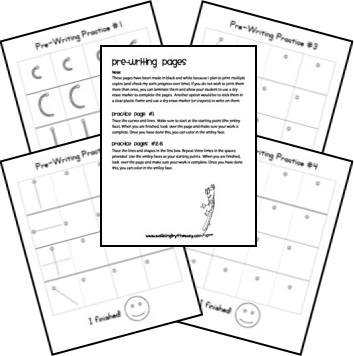 I can’t find the pdf for the pre-writing skill sheets. Is it no longer available?